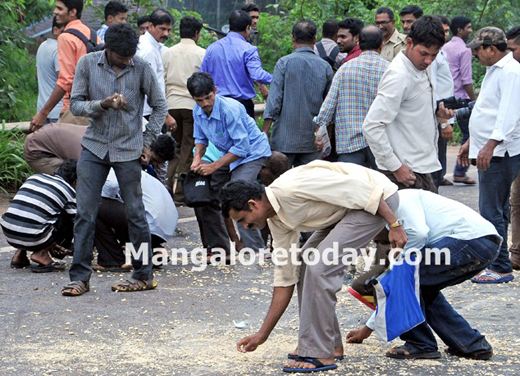 Mangaluru: Lorry overturns spilling tonnes of cashew nuts onto street. 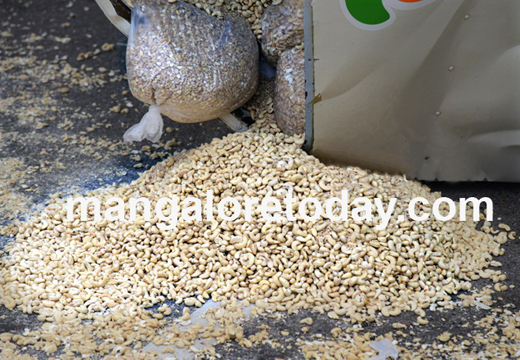 Mangaluru: June 16, 2015: A semi-truck fully loaded with cashews overturned near Kuntikan injuring two persons on Monday, June 15. 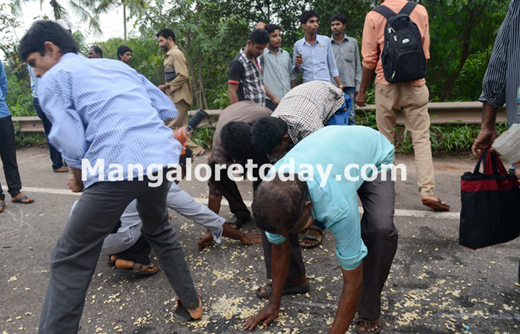 The News of the accident and Cashew nut spill spread in the nearby locality and people rushed to the spot with plastic bags and started collecting the cashew nuts. The truck belonging to Reliable Cashews was moving at a high speed towards Baikampady from Nanthor, the truck toppled near AJ Hospital after the driver lost control. Driver and the conductor escaped with the minor injuries. A case has been registered at Kadri Police station.